Melbourne Blender Society has moved!!! Hi Everyone… we have moved our meeting announcements to meetup.com. Sorry if you have missed any of the meetings… the next one will be Thursday November 24th at York Butter Factory. It’s time for the first meeting for 2016! See you at the York Butter Factory – 62-66 King St, Melbourne CBD on Thursday the 28th of January at 6pm. No formal presentations this time around… bring along you project and show us what you’ve been up to over the festive season! Plus we will have the usual Q&A session where where the experienced members try to answer any questions or solve any problems you have encountered. Come on, try to find a question they can’t answer! Unfortunately, the new venue does not have any computers that attendees can jump on. I’ll have my PC so you can bring your project on USB or bring your own laptop. Though if you bring your own laptop you may need to bring a DV > VGA converter. Melbourne Blender Society – November 26 – BGE shaders, free renderfarms and more! Hope everyone is looking forward to the last meeting of the year. The Melbourne Blender Society will be meeting at VPAC Systems Office on Thursday the 26th of November from 6:00 to 8:00pm. You can let us know you are coming by RSVPing through Meetup.com and please invite anyone else you think would be interested to come along! Alex Fraser presenting on BGE: screen-space game shaders. Open session – bring along you project and show us what you’ve been up to or ask a question and one of the experts will try to answer. Discussion around next year’s meetups – what works, what doesn’t work? There will be 12 computers available for use in the workshop. Last time there were enough computers for everyone, but you can bring a laptop if you like or you can just watch. So see you Thursday 26th at VPAC – Building 91 (view map) 110 Victoria Street, Carlton South. Melbourne Blender Society is sponsored by Blender Training. Melbourne Blender Society – September 24 – Introduction to green screen, BGE Shader tutorial and more! The Melbourne Blender society will be meeting at VPAC Systems Office on Thursday the 24th of September from 6:00 to 8:00pm. You can let us know you are coming by RSVPing through Meetup.com and please invite anyone else you think would be interested to come along! We all know Blender has green screen capabilities and so we thought we’d give it a go. Matthew Macknamara has recovered from the illness that stopped him from presenting last time and he will take us through the green screen shots he did for his short film Dragon’s Den. 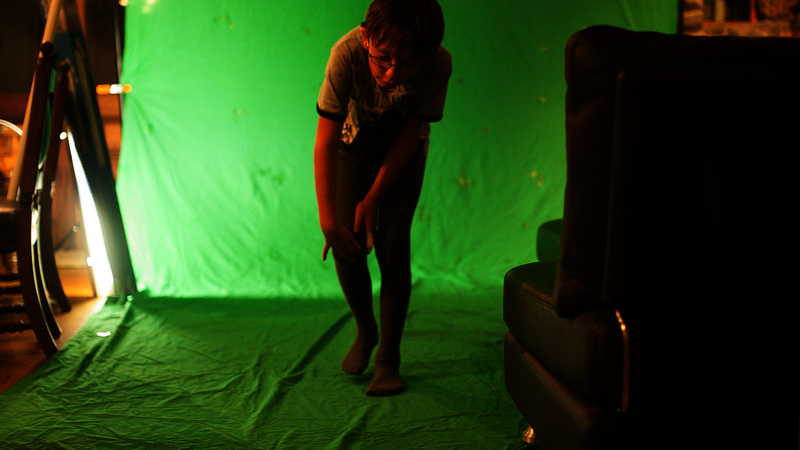 Matt will be bringing along his green screen set up and we’ll have a go at creating something ourselves! In addition, Alex Fraser, the creator of s.cargo Blender game will also be doing a presentation on building Blender Game Engine (BGE) shaders. Finally, we’ll have open Q&A – aka instant tutorial, where you can ask any question and one of the experts will answer. There will be 12 computers available for use in the workshop. Last time there were enough computers for everyone, but you can bring a laptop if you like. Or, you can just watch. So see you Thursday 24th at VPAC – Building 91 (view map) 110 Victoria Street, Carlton South. 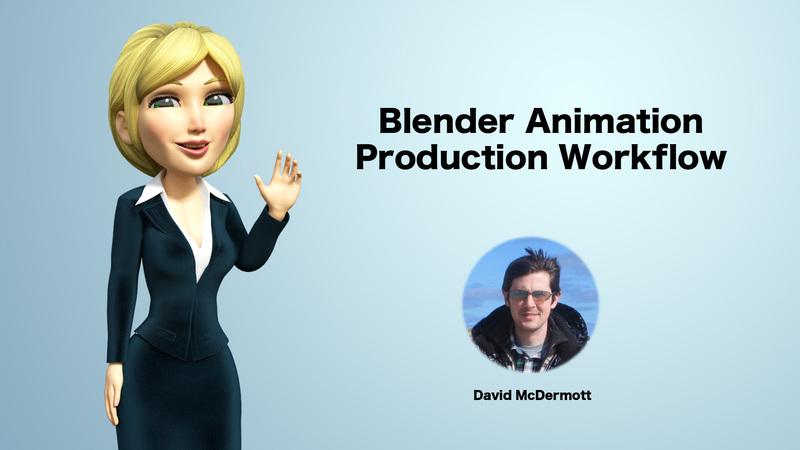 Melbourne Blender Society – July 23 – David McDermott on Production Workflow, Introduction to green screen and more! The Melbourne Blender society will be meeting at VPAC Systems Office on Thursday the 23th of July from 6:00 to 8:00pm. Our guest this time around is David McDermott from Giant Oak Studios in Ireland. David has been working in games and animation since ’99 and his travels have taken him to Australia and Japan. You can check out his 2014 showreel to see what he has been up to recently. David will be explaining has Blender based production workflow in the context of the multiple projects that he undertakes each year. We all know Blender has green screen capabilities and so we thought we’d give it a go. We are lucky to have Matthew Macknamara who will take us through what he did for his short film Dragon’s Den. Matt will be bringing along his green screen set up and we’ll have a go ourselves! 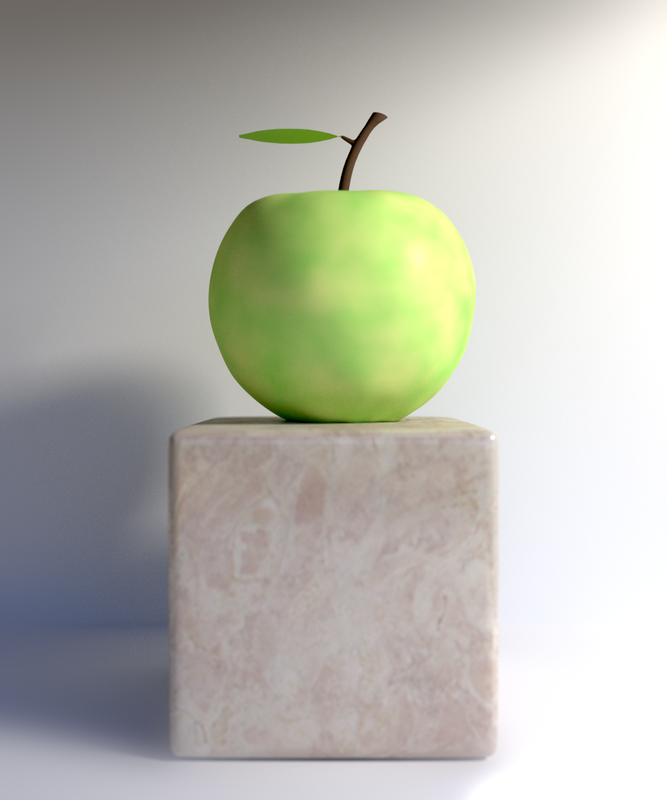 Andrew Buttery from Blender Training will do a quick walk-through of a still life that he is working on with one of his students explaining some of the techniques as he goes. So see you Thursday 23rd at: VPAC – Building 91 (view map) 110 Victoria Street, Carlton South. Melbourne Blender Society – May 28 – Introduction to HDRI and more! The Melbourne Blender society will be meeting at VPAC Systems Office on Thursday the 28th of May from 6:00 to 8:00pm. We’ll have another go at trying to broadcast this event via Google Hangouts on Air – we’ll see if we can get better audio this time! Alex Fraser is bringing along a chrome ball and will do an “Introduction to HDRI lighting” talk. For those that don’t know using High Dynamic Range Images (HDRI) that have been taken with special equipment can be used to light your scene and help create really realistic lighting and reflections without complex lighting setups. 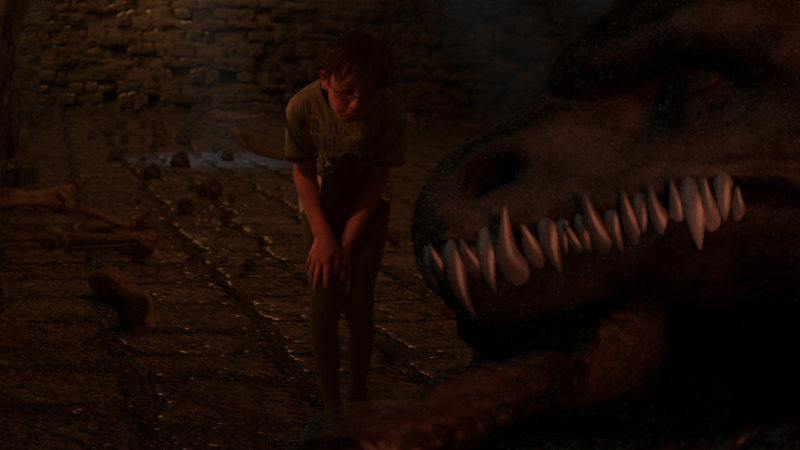 We’ll give an update on the Project Charcoal including new Bubzilla facial animation we discussed last meeting. We’ll also have feedback from David Andrade (Theory animation, the studio that does Ray & Clovis) on the animation so any budding animators can see how animation is critiqued in a studio context. Finally, we’ll have open Q&A – aka instant tutorial, where you can ask questions and one of the experts will answer. So see you Thursday 28th at: VPAC – Building 91 (view map) 110 Victoria Street, Carlton South. Here is Andrew Price’s presentation on photorealism from our February meetup. Andrew flew down to Melbourne to talk at our session at Pausefest.